GPS Tracker for vehicles : quick and easy installation ! Monthly subsription : 5.99 € (12 months) All inclusive sim card and product operation throughout Europe. How does the GPS Tracker work ? The GPS Tracker quickly installs into your vehicle unnoticed. Simply plug it into the vehicle's battery or any power source. It works with the geolocation platform www.jelocalise.fr (accessible from a telephone or a computer). The GPS Tracker automatically sends its position to the servers jelocalises when your vehicle moves. You can track the movement of your vehicle from your computer or smartphone in real time and view the history of all trips. The GPS Tracker is sent to you ready for operation, once installed in the vehicle and your subscription activated it is operational. 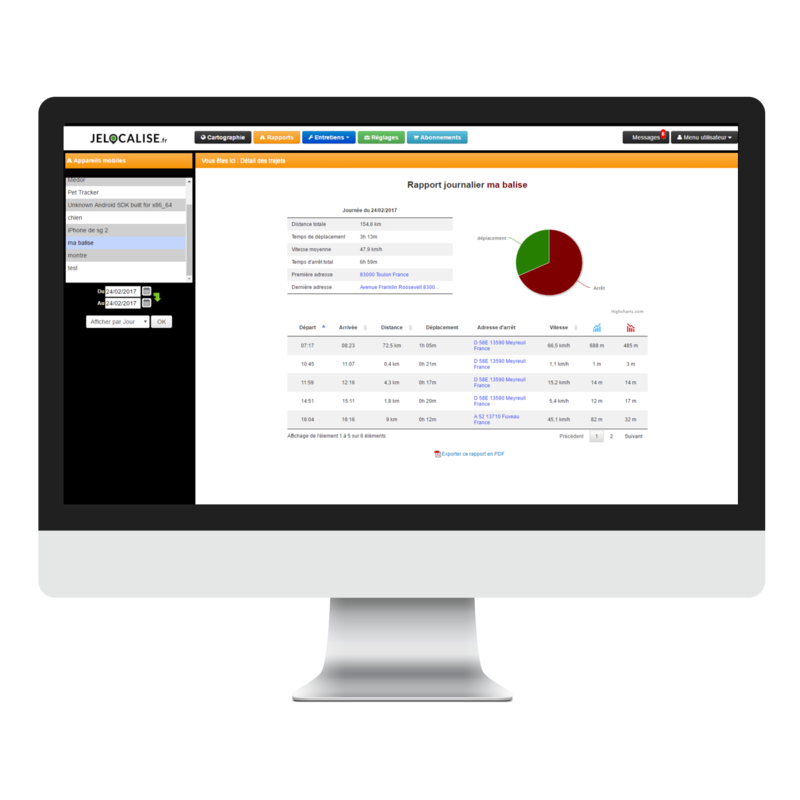 Detailed reports with statistical tables of all the journeys of your equipped vehicles are available from your customer area and can also be exported in PDF format. 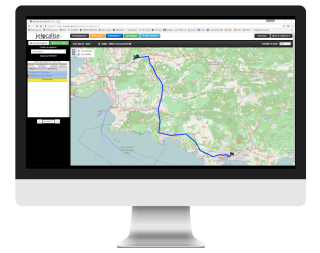 The free application jelocalise Viewer allows you to locate your GPS Tracker from your smartphone. It is compatible with Android smartphones and tablets as well as iPhone and iPad. In which countries does it work ? Dom-Tom customers: cover of your island only (for example Mayotte or Martinique or Guadeloupe or Guiana or Reunion ...). If your country of delivery is different from your country of use, please contact us so that we can deliver your GPS Tracker with a sim card covering the countries in which you intend to use it. The operation of the product depends on the coverage of mobile internet networks in the countries covered. All our sim cards are multi-operators and therefore choose the best network available to connect.